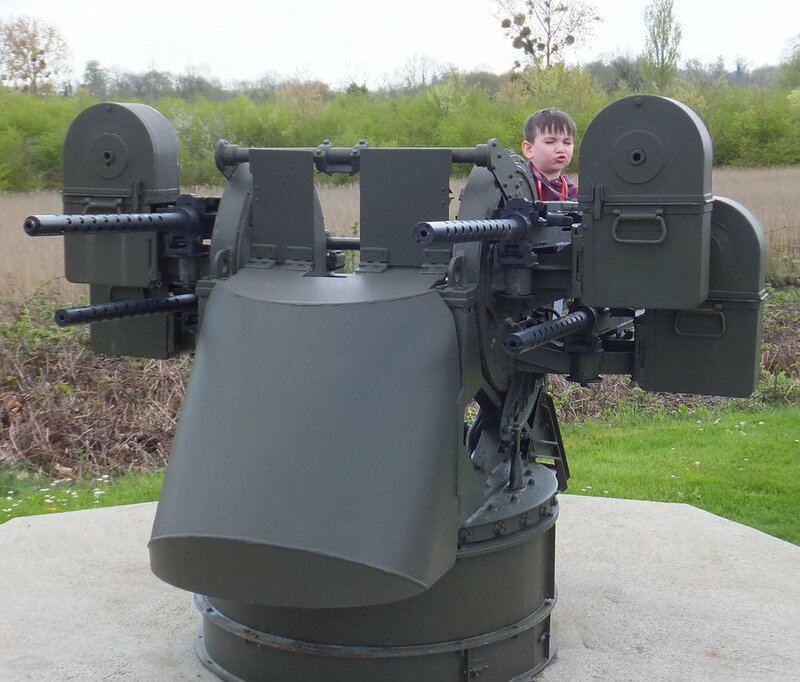 When I heard that a five-year old was joining us on the Return to Vimy Tour, I was a little concerned. Mason was travelling with his granddad, Len Seymour on one of the gunner buses. I knew the pace and content of the trip was going to be very adult and perhaps a challenge for a young child to keep up with or to stay interested in. By the end of the trip, Mason had taught me and the other very seasoned travelers a few things about how to handle the rigors of a 10-day battlefield tour. Mason took every chance he could to enjoy himself and these are the traveler tips he modeled for all of us on the tour: sleep whenever and wherever you can to shake off jet lag, enjoy a hot drink at the gas bar stops; talk to as many people as you can; let tourists take your photo; dress well for all the special activities; always make use of your imagination at the museums and remember at the cemeteries. Mason was a fine traveler and his happy disposition was infectious for the rest of us. 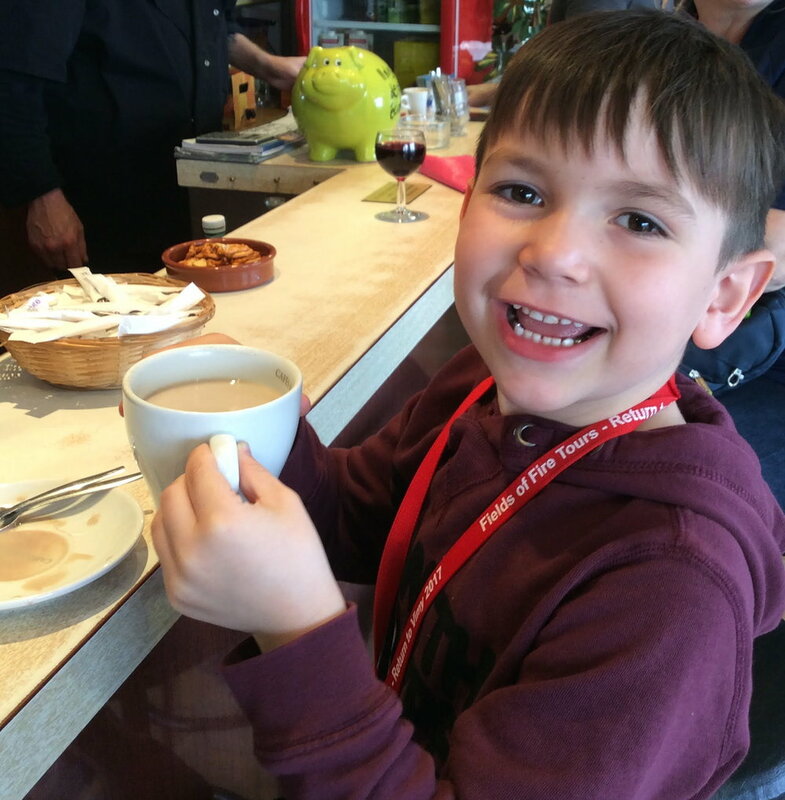 The trip was a multi-generational experience for both Len and Mason. Len’s reflects: “The reason I did this trip, was really to honour my own grandfather as he arrived in France with his Unit in the Spring of 1915 and he didn’t return to Canada until the Spring of 1919 when his Regiment returned to Winnipeg and it demobilized. Even though he was a member of the 50th Gordon’s in Victoria, at mobilization he joined the 48th Reserve Battalion, and then when the 27th Battalion organized he trained with them, since he was originally from the Winnipeg Region and before that, a lumberjack on Vancouver Island. 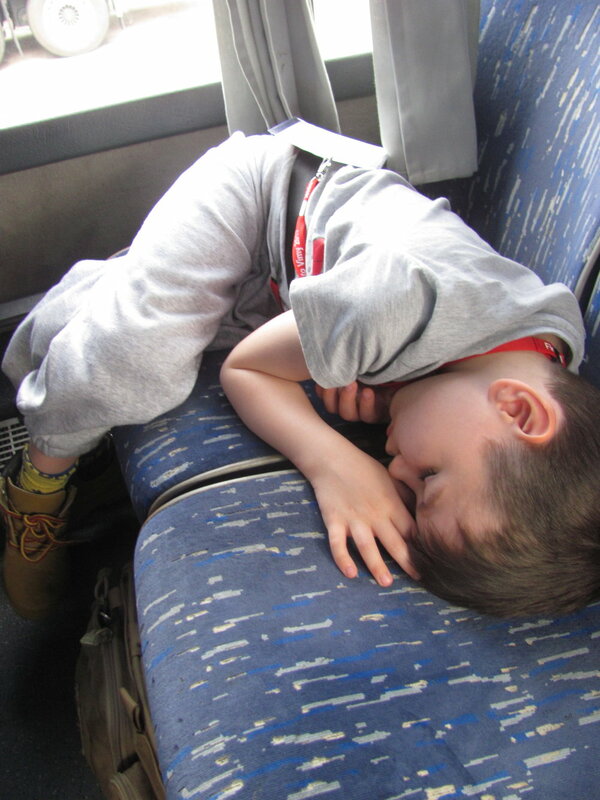 Mason earned the title of the littliest gunner on the bus and the Best Traveler Award, a package of Canadian licorice presented on the last day, along with a round of hearty applause. Enjoy a hot drink when the bus stops. Using my imagination on the German gun at Pegasus Museum, Benouville. Mason ready with his granddad Len, for Menin Gate ceremony in Ypres, Belgium. Remember at the cemeteries; Beny-Sur-Mer, France.